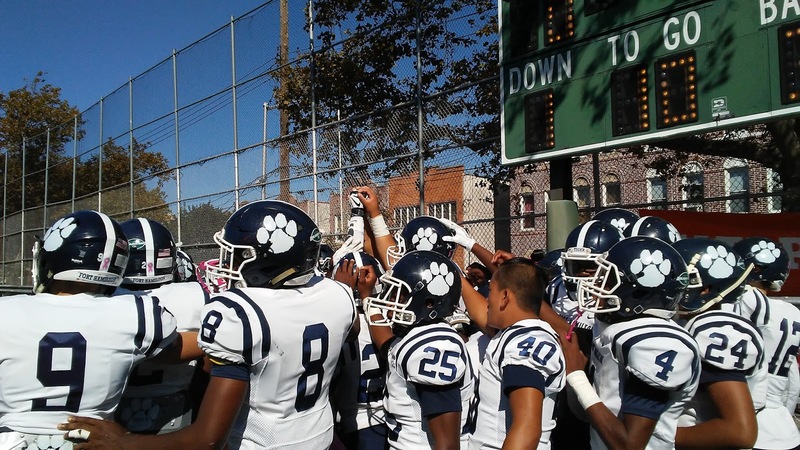 The Fort Hamilton Tigers reached .500, at 3-3 on the season, with a big win in their Bay Ridge/Bensonhurst neighborhood rivalry game with the New Utrecht Utes, 26-24, on Saturday afternoon. The Tigers were led by quarterback Seba Nekhet, who did it with his arm and on the ground. He threw for a touchdown pass to Jemar Hamilton at the end of the first half, and he completed five of six passes for 52 yards. Nekhet had 10 carries for 48 yards and a touchdown. Troy Booker had a big day, as he had four carries for 68 yards and had a touchdown, which gave the Tigers a 26-18 lead late in the fourth quarter. New Utrecht responded with a touchdown from Daniel Barrow, his third of the day. to make it 26-24 Tigers, but the Utes could not make their two-point conversion. Fort Hamilton could not get a first down to wind down the clock, so New Utrecht got the ball back with approximately 12 seconds remaining. The Tigers got to Utes quarterback Michael Wayne, and sacked him, and with New Utrecht out of timeouts, time expired before they could get off another play. New Utrecht got on the board first, with a 6-0 lead, followed by 20 straight points for the Tigers. New Utrecht got a touchdown late in the third quarter, and one in the fourth to pull within 20-18 before Booker and Barrow traded touchdowns late. 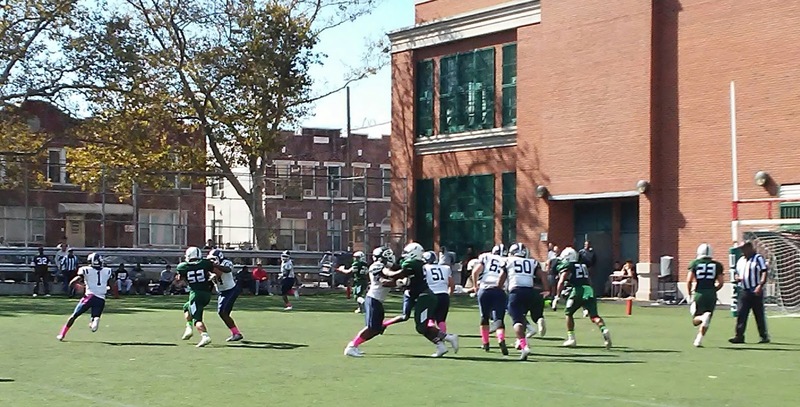 The difference in the game was that Fort Hamilton made one two-point conversion out of four chances, and New Utrecht was 0-for-4. Nicholas Wynter had another nice game for Fort Hamilton, as he ran for 81 yards on six carries and had a touchdown. This was the second straight win for the Tigers, and they will be looking for their third straight when they host Flushing on Saturday, October 22 at noon in their last home game of the season. 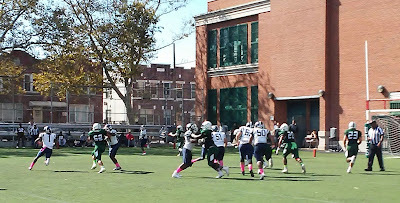 The Fort Hamilton Tigers play at the field adjacent to their school, located at 85th Street and Narrows Avenue in Bay Ridge. Fort Hamilton quarterback Seba Nekhet took it himself on his way to the end zone. Photo by Jason Schott.